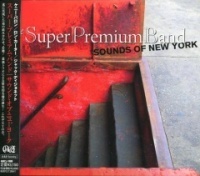 Description: In 2010, The Super Premium Band was born from the mind of Yasohachi "88" Itoh, the Japanese producer who created numerous albums with the late Hank Jones and his Great Jazz Trio. Featuring Kenny Barron on piano, Ron Carter on bass and Lenny White on drums, the band released its first album, Softly, As In A Morning Sunrise to great critical acclaim and popularity. For the super-group's second album, the legendary drummer Jack DeJohnette replaces Lenny White, bringing a different set of rhythmic textures and sensibilities. The program consists of well-known standards associated with the great city of New York, where this recording took place, and three originals--each composed by Barron, Carter and DeJohnette. The three jazz giants show us why they are giants. The arrangements are sharp, solos inspired and the ensemble are really tight. Reflecting ZZJA Plus's motto of "delivering high quality jazz with high quality sound," this album was recorded and mastered in DSD and pressed onto redbook CD using Sony's Blue Laser Diode cutting, Green Label Coating and Silver Spattering technologies. Recommended to fans of straight ahead jazz as well as audiophiles! Produced by Yasohachi "88" Itoh. Recorded at Avatar Studios, New York on April 21, 2011. DSD recording. This is a regular, "redbook" CD.